Need some nice weekend plans?! Well, look no further than Ross & Hall’s brunch! Starting at 11 AM on both Saturday and Sunday, we have a delicious brunch menu filled with options that help you fuel your day, or maybe recover from the night before. Whatever your reason for needing some delicious brunch—we don’t blame you! 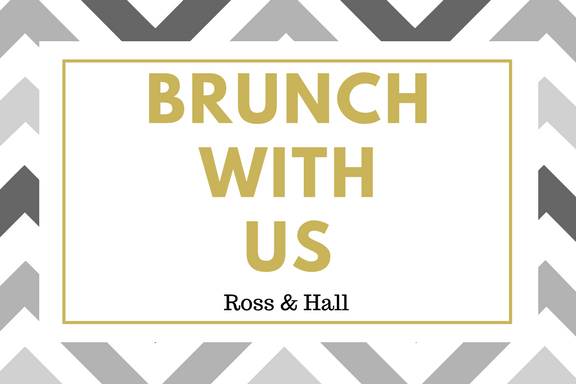 And Ross & Hall is the place to be for brunch! Why?! Well besides our awesome restaurant itself, we have a Mimosa bar and a Bloody Mary Bar and a great menu to match it! Do we have your attention yet? Thought so! So many times restaurants call it brunch but they only really serve breakfast—not at Ross & Hall, though! We have breakfast options, lunch options, and everything else you might be craving on a Saturday or Sunday morning. Appetizers are an important part of brunch that many people might forget about, but don’t worry—we wouldn’t do that to you! Chili, poutine, wings, queso… just to name a few! We know how hungry you can get during the weekends, and we say treat yo’ self! Within our breakfast options, we have the sweet and the savory—delicious options like Blackberry & Bourbon Crepes (yes, this is for real), Cheddar Cheese Stuffed Biscuit & Gravy bowl (the best kind of comfort food you didn’t even know you needed in your life until now), and the classic Bacon & Eggs (because why mess with a classic?). Those are just a few of the breakfast options we have to choose from—and honestly, we love them all. We have crafted a breakfast menu so that no matter what you are in the mood for, you will find something that satisfies you… and then some! Sometimes you just don’t feel like eggs, or crepes, or anything that is served for breakfast—and we have you covered! So, we had to make sure to create a killer lunch menu for when you want a mimosa but you also want a salad or sandwich. We offer three delicious and amazing salads! They’re so good you might come in thinking you’re getting breakfast and then completely change your mind, it happens to us all! We offer: the Silver Bowl, Sesame Tuna, and Fire Crack’n Shrimp—three great choices, good luck only choosing one! If you aren’t really a salad person, we also have you covered! We have different tasty sandwiches you know and love from Ross & Hall available. Of course, you gotta have a hamburger as an option—and we love ours! 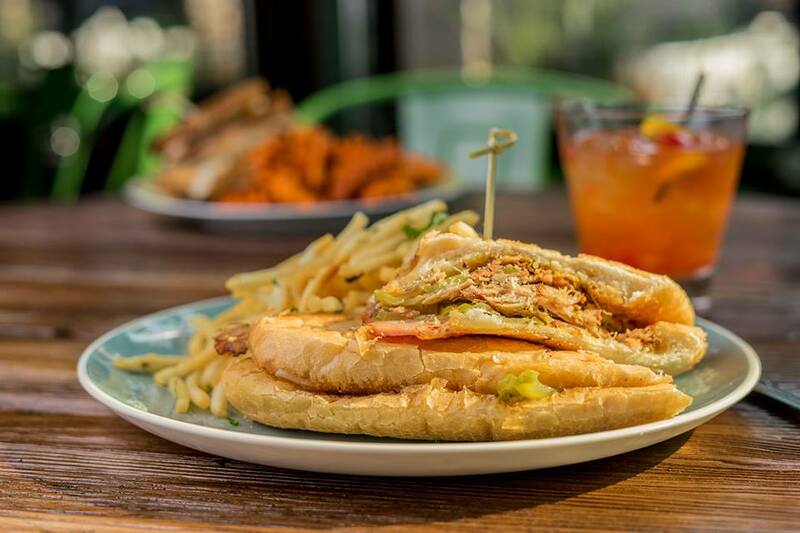 We also have our Smoked Turkey Reuben and Pulled Pork Cuban—yum! Drinks and dessert are just as important to brunch as breakfast and lunch options are—so of course we have them both. We started to talk about it earlier, but we do have an amazing Mimosa and Bloody Mary bar that are to die for! What could be more fun than that?! Probably nothing, honestly. We also have other well specials, like a tequila sunrise and a greyhound. And to cap off your brunch, you have to get dessert! We have warm chocolate cake and passion fruit mousse! I know, you’re probably drooling, aren’t you? We definitely are. Remember, we open at 11 AM on Saturdays and Sundays and are stocked with delicious options that blows other brunch options out of the water. We cannot wait to see soon! NTX Beer Week at Ross & Hall!